In a first with RNA-Seq technology, scientists at Stanford University have broken through the single-cell barrier. In a recently published paper, A.R. 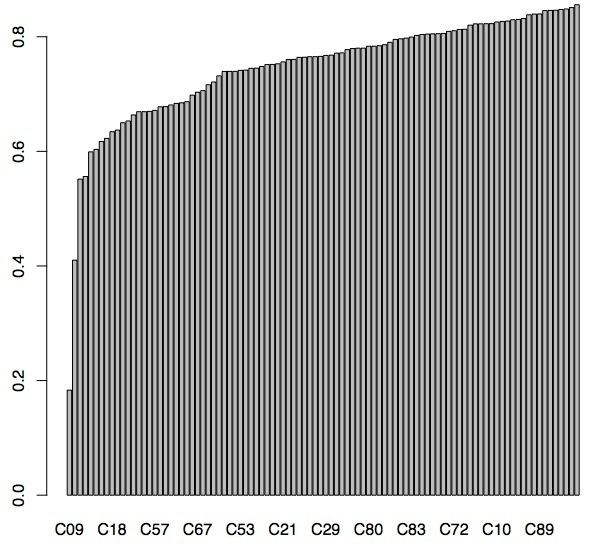 Wu et al., Quantitative assessment of single-cell RNA-sequencing methods, Nature Methods, 20 (2013), report the results of sequencing RNA from zero human cells. How was this accomplished? 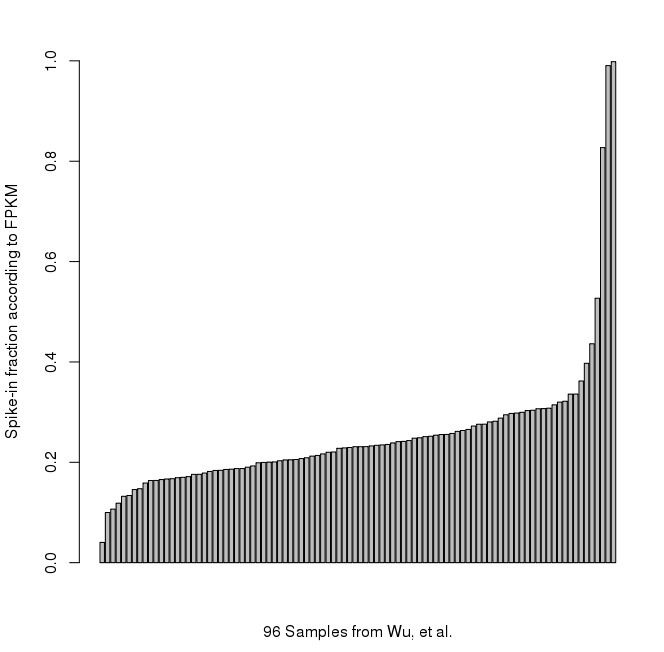 The gist of it is that an empty tube was filled with spike-in, and then submitted for RNA-Seq… The details are as follows: In order to assess the quality of single-cell RNA-Seq, Wu et al. 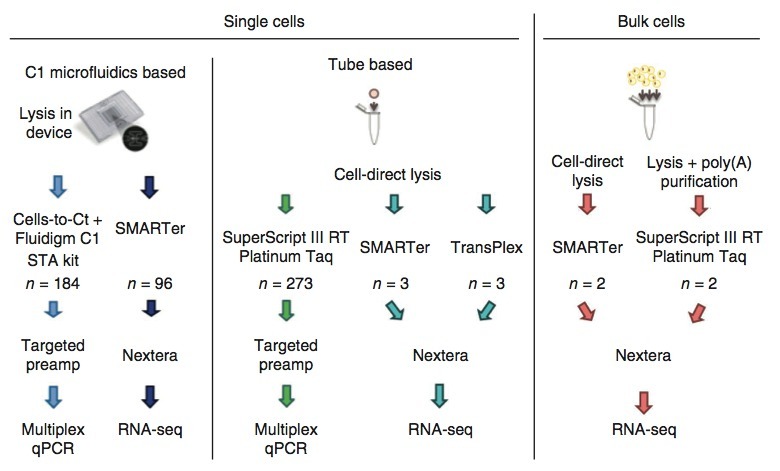 performed numerous single-cell RNA-Seq experiments on HCT116 cells, as summarized in the figure below (Figure 1a from their paper). Figure 1a from the Wu et al. paper showing the experimental design. While there are 18 consecutive IDs, the cell labels range from 1–24. Where are the 6 missing cells? I can’t be sure, but they were probably failures. Update: the authors of the Shalek et al. paper explained to me after seeing the post that two of the missing labels were negative controls, and 3 were population replicates (the names of these were altered in GEO). which was indeed a failure (S12); it gave no signal on the BioAnalyzer and was therefore not sequenced. I was told that the authors are working on fixing the GEO sample names to clarify the reason for missing labels of samples. As such, it turns out the experiment was extremely successful with a success rate of 18/19. I’m guessing that the odd idea of sampling and then taking the median is precisely to throw out outliers coming from the control tubes. Yes, the data were tortured, and yes, the FPKMs confessed. The paper has some other issues that suggest it was not carefully reviewed by the authors (let alone the reviewers). 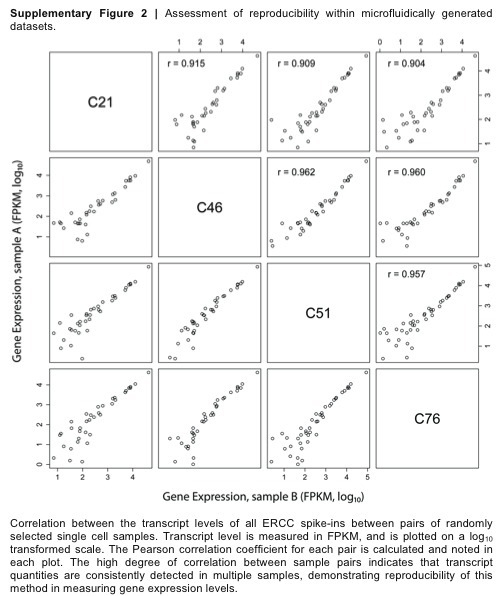 In the Methods I found the statement “FPKM values used for analyses were generated by TopHat”. I, of all people, can attest to the fact that it is Cufflinks, not TopHat, that estimates (not generates!) FPKM values. Thankfully, in the GEO entries Cufflinks is correctly cited together with the version used. In summary, in the last two high profile publications on single-cell RNA-Seq, there were failures in the experiment and they were not reported clearly by the authors. Neither committed an egregious offense, but I wish they had fully reported the number of experiments attempted and the number that succeeded. That seems to me to be important data in papers describing new technology. I believe that fear of rejection from the journal, or fear of embarrassment of the state of single-cell RNA-Seq is what drove Wu et al. to spin the results positively. All part of the fear of failure, that seems to hold back a lot of science. But single-cell RNA-Seq has a bright future and these papers would both be better if they were more open about failure. The only thing we have to fear is fear itself. The C1 doesn’t have a 100% capture rate. From the methods: “After cell capture, chips were examined visually to identify empty chambers that were excluded from later analysis.” You’re happily accepting that because the microfluidic separation bypasses the hassle of manually harvesting 100 single cells. The fact that some of the wells didn’t contain cells isn’t a failure of the sequencing. The variability of the rest of the chambers and the non-zero number of human transcripts observed in the empty chambers do demonstrate the challenges of single-cell sequencing, however.